Any student from partners institutions can apply for a wide-ranging of educational opportunities. The application form must be signed and sent by your home institution. Shortly after you arrive in Curitiba, please come to UFPR International Agency for enrollment procedures. Bear in mind that the registration procedure is very important and you will not be able to attend classes until you get officially enrolled. Requirements: a copy of passport and 2 photos (size 3X4). 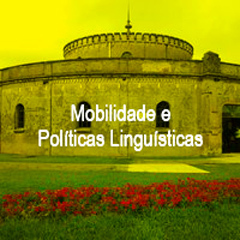 UFPR offers Portuguese for Foreigners free of charge at CELIN (language Center of UFPR). Courses with different workloads and lengths are available and you must include your choice in the list of courses in your application form. Most foreign exchange participants need a student visa, if they will stay for more than three months in the country. The exchange students shall apply for the visa before coming to Brazil, submitting the original acceptance document (letter issued by the UFPR International Agency) to the Brazilian Consulates in their home countries. The student visa is valid for one year, but if any exchange student needs to renew it, it is necessary to go to Departamento de Polícia Federal – DPF (Federal Police Department) 30 days before expiration date. Arriving in Brazil. all foreigners must register at DPF within 30 days. If a foreigner does not register according to the deadline a fine will be charged for each day of delay. At the moment of registration, an Identity Card for Foreigners will be issued. – Form DPF 154 and copy of the used pages of the passport or Identity Card. 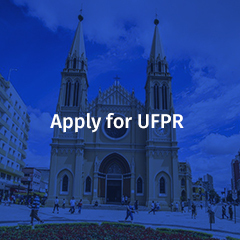 The applicant must complete and download both GRU forms from the website using the codes 140082 and 140120, then pay the fee at the nearest bank,(R$140,00) before going do DPF. UFPR International Agency can assist you in case of doubt. UFPR offers a very low cost meal in 3 University Restaurants located in different campus (a meal is R$1,30). Here you find further information. Besides the university restaurant, there is another moderate price alternative near the campus and throughout the city: Self-service restaurants – the person pays according to the food quantity he eats. The price per kilo ranges from R$ 10,00 to R$ 20,00. 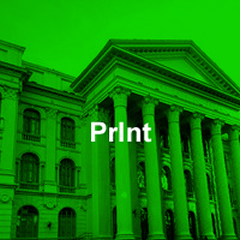 UFPR has not a foreign student residence but the UFPR International Agency keeps a list of available rooms to rent in different neighborhoods in the city of Curitiba . We would like to remind you that the office just indicates the available home stays. All details should be dealt directly between the parts. If the student wishes to have enough time to decide he may stay in a hotel for a couple of days before choosing suitable accommodations. It is possible rent a furnished apartment and shares it with other students paying initially a three-month rent in advance. All foreign students . 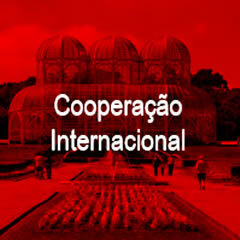 If necessary, UFPR offers basic social assistance to foreign students through its Heath Office in the Campus (CASA III). But remember: all students must have insurance valid for the period they will stay in Brazil. -An Attendance Declaration issued by UFPR International Agency. UFPR students are provided with the University student card so that they can prove to be a regular student at the University. It allows discounts in theatres, restaurants and transport. Buses are the most used means of transportation in Curitiba. The bus fare costs R$4,25. There is good transportation service among the campuses and downtown area. Free buses connecting the four campuses of UFPR are available check schedule here. Currency, basically American dollar and Euro in travelers’ checks or cash may be exchanged. The student must take the Identity Card and passport to exchange money. Banks are open Monday to Friday, from 10 a.m. until 4 p.m. Foreign currencies are not accepted in the market. 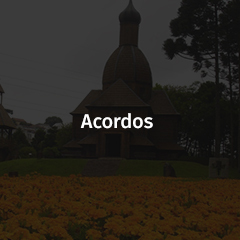 Sweaters and raincoats are welcome since Curitiba has a maritime temperate climate or Subtropical highland. Located in Southern Brazil, the somewhat humid city lies in a Subtropic zone. Located in a plateau, the flat terrain with flooded areas contribute to its mild and damp winter, with average temperatures of 13 °C (55 °F) in the coldest month, falling slightly below 0 °C (32 °F) on the coldest days. During summer, the average temperature is around 21°C (70 °F) but gets above 32 °C (90 °F) on hot days. Heat waves during winter and cold waves during summer are not uncommon, and even within a single day there can be great variation, a typical feature of subtropical climates. Several factors contribute to the climate’s variable nature.